Anthony Ramos and John David Washington appear in Monsters and Men by Reinaldo Marcus Green, an official selection of the U.S. Dramatic Competition at the 2018 Sundance Film Festival. Courtesy of Sundance Institute | photo by Alystyre Julian. The trailer for Monsters and Men, which snagged the Special Jury Prize at Sundance this year, is now available on YouTube and on the film’s official site. Monsters and Men documents the aftermath of the police shooting of an unarmed black man. The incident shakes the residents of Bed-Stuy, including a single father and the family of a black police officer, in this film exploring the unavoidable intersections of race, family, and community – as well as the reality of police violence in the United States today. 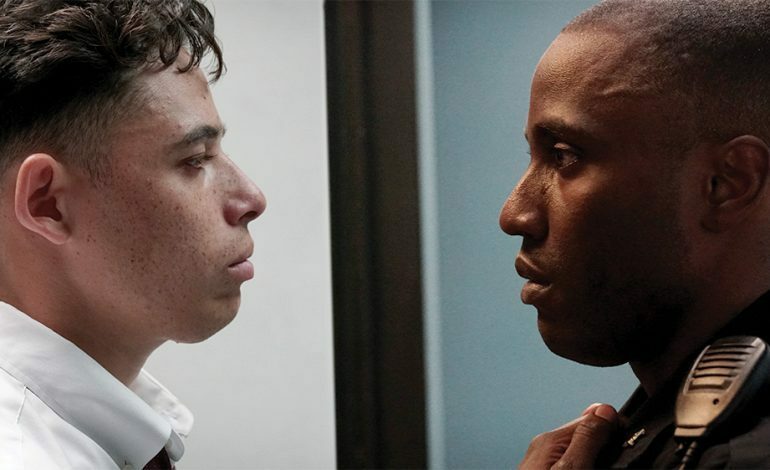 Director Reinaldo Marcus Green and stars John David Washington, Anthony Ramos, and Kelvin Harrison Jr. bring to the table a story of the far-reaching roots and large-scale consequences of our seemingly split-second actions. You can expect Monsters and Men this fall.